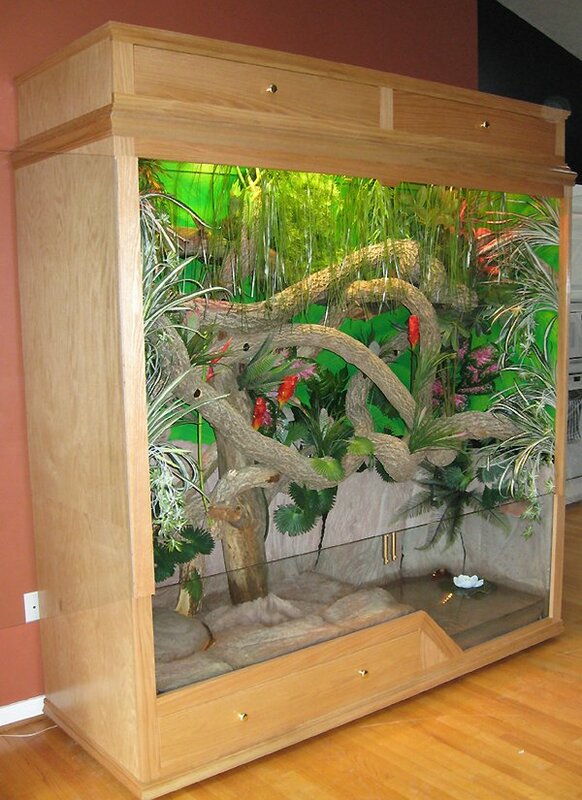 An enclosure can be custom built to accomadate the space you wish to place your enclosure. 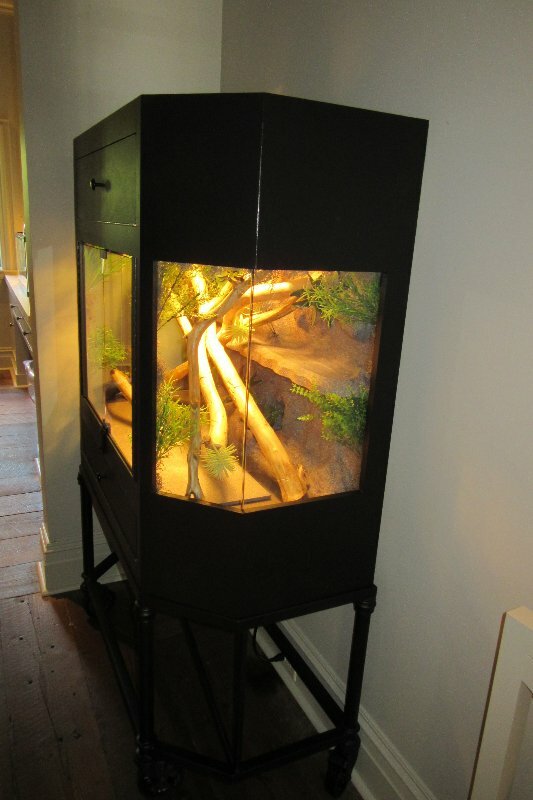 This enclosure was built to partialy fit under a staircase. Please specify if there is a space that requires such specifics. 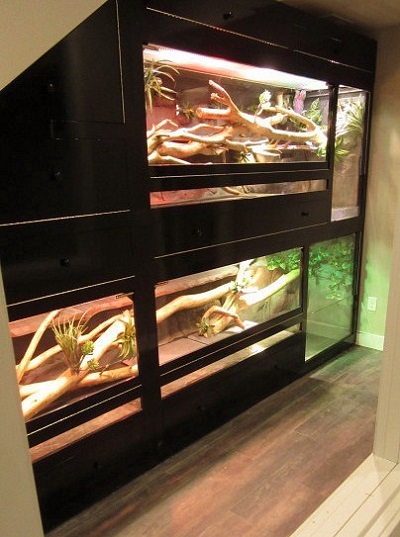 Glass sides can be installed on either one or both sides of the unit. 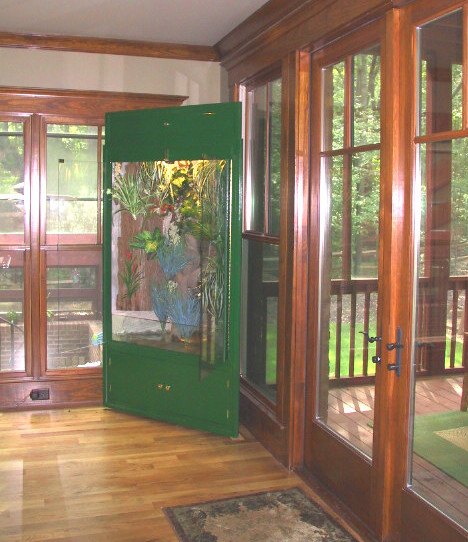 The sides can have rectangular or octagonal glass sides to give it more character. All of the doors are tempered glass. 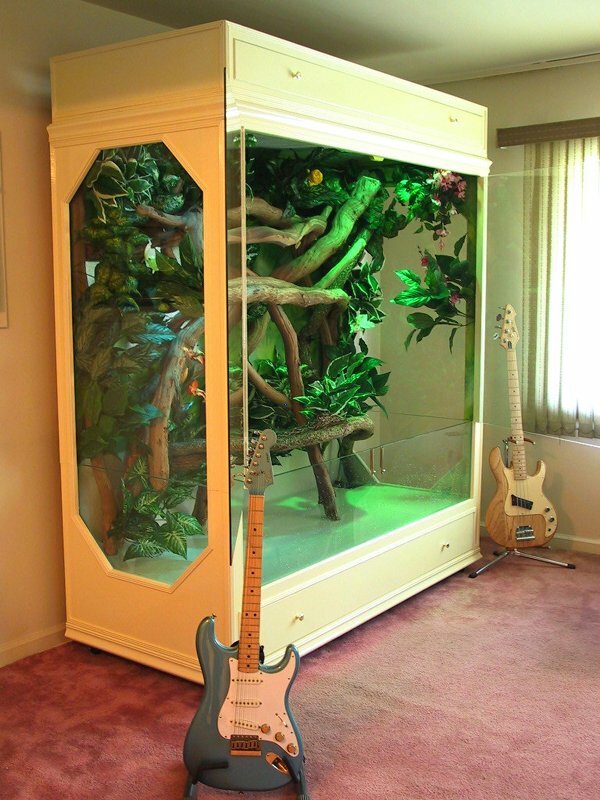 Any of the other glass sections must be requested if tempered glass is desired. 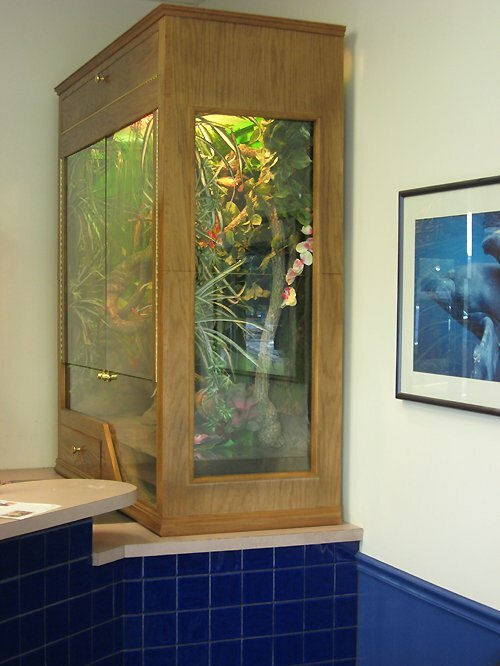 Keep in mind that although glass sides are nice to have, cleaning them is essential and can become more of an eye sore if not properly maintained. Ask for this added feature within your order if you choose to request it. Wooden sides allow for better set up for interior settings because there is more surface to mount onto utilizing the sides. 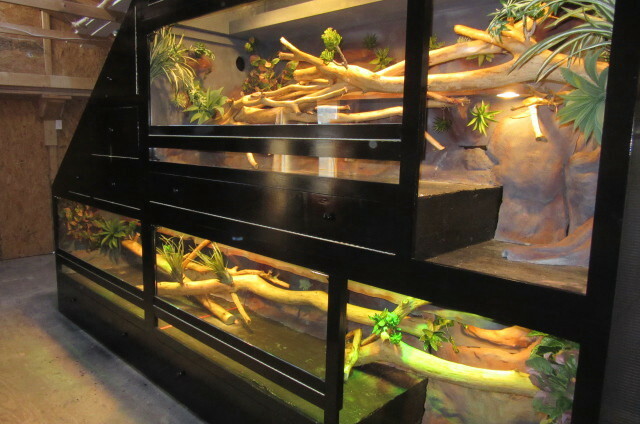 Also, there is less reflection within the habitat for the animals, which minimizes stress.